As Louisiana’s largest city, there is always something going on in New Orleans. Add in the amazing creole cuisine, world-class jazz, beautiful architecture and booming tourism, and life in The Big Easy can get pretty hectic. At Botsay Notary and Insurance Network, we are proud to serve New Orleans residents with a wide range of services designed to provide you with convenience and peace of mind. We know you’ve worked hard to build your life here, and we provide you with the insurance programs you need to protect it. From notary, DMV service and title transfer to auto insurance, personal and business insurance, we are at your service! Hurricane Katrina taught us many things. First, that New Orleans is a resilient city filled with strong, hard working individuals who can bounce back from even the worst tragedies. Second, that you never can predict what the future holds. While we don’t know what tomorrow will bring, we can be prepared for it. After all, that is what insurance is about — enjoying security and protection from the unexpected, so you can navigate whatever comes your way. At Botsay Notary and Insurance Network, we are here to provide you with personal service so you can access the quality, affordable insurance you need to protect the assets you have worked so hard to acquire. In addition to a wide range of personal and commercial insurance programs, we are also your source for great rates on New Orleans car insurance and motorcycle insurance. So, whether you are in Lakeview, the French Quarter, Downtown New Orleans, Mid-City, the Garden District, or anywhere in between, you can depend on us to provide you with the right auto insurance at the best rates. Established in 1979, Botsay Notary is the name to know in New Orleans. As a full service, Notary Public, we can meet your needs for Power of Attorney, Wills, Civil Law and more. 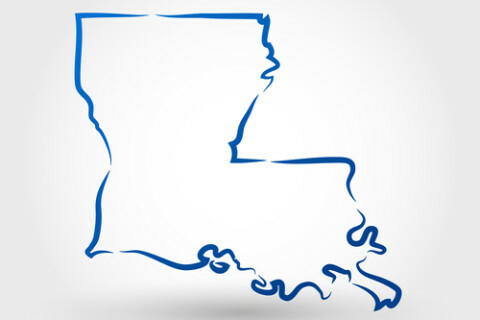 We are also a Louisiana State Authorized Public Tag Agency, which means we provide DMV service, including tag and title, vehicle registration, title transfer — you name it! Whether it’s business insurance, car insurance, DMV service or Notary Public, whatever brings you to Botsay Notary and Insurance Network, you can be assured that you are in the most capable hands. Not only have we served the Greater New Orleans area for more than 3 decades, but we are dedicated to providing you with the personal, attentive service that has become synonymous with the Botsay name. From I-10 to the Mississippi River, Lake Ponchatrain to U.S. 90, wherever you are in New Orleans, we are here to offer you the services you need to protect your family and your business. Contact us today! GIVE US A CALL OR STOP BY AND SEE US.